Congress' West Bengal General Secretary OP Mishra, who is also the top contender for a Rajya Sabha seat up for grabs for the party in the state, is willing to sacrifice his candidature for CPI (M) General Secretary Sitaram Yechury, whose term expires in August this year. According to Mishra, Yechury's return to Rajya Sabha is a must as he brings lot of value to the Parliamentary proceedings and has emerged as the point person for effecting opposition unity. Calling Yechury an exceptional politician, Mishra goes on to add that Congress and CPM have a political understanding in the state and every effort should be made to ensure CPM general secretary's return to the upper house. “He is a powerful speaker and one of the most vocal critics of the central government, BJP, RSS and their Hindutva politics. Moreover, he is also playing a very constructive role in bringing the opposition together on a host of issues. Therefore, if the high command decides, I am ready to give up my claim to pave way for a third term for Yechury,” said Mishra. According to sources, Mishra and Deepa Dasmunsi are the front runners if Congress decides to field one of its own in the Rajya Sabha elections. Congress' Pradip Bhattacharya's term expires in August and state party leaders are in favour of replacing the former with Mishra for his strong anti-Trinamool image. Sources claim that Congress state President Adhir Ranjan Chowdhury and Congress Legislative Party leader Abdul Mannan are also backing Mishra. 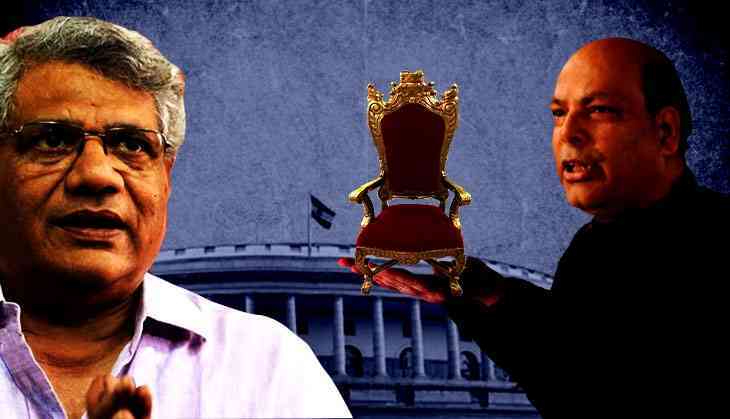 In fact, both are considered close to the central leadership which many believe will lead to Mishra becoming the party's face in the Rajya Sabha elections if CPM declines another term for Yechury. Yechury's term, along with that of five others from West Bengal, expires in August. While Trinamool Congress with 211 legislators is set to win five of the six seats, Congress with 44 MLAs can elect one of its own to the Upper House of the Parliament. Every candidate needs 42 votes to get elected. CPM along with Revolutionary Socialist Party, All India Forward Bloc and Communist Party of India have only 32 and need 12 more votes to elect their representative which is unlikely without the support of the Congress. While the West Bengal state unit is keen on giving a third term to Yechury, there has been some opposition on his candidature from the Kerala unit. The West Bengal unit had even passed a resolution supporting Yechury's candidature which hid a roadblock since the party constitution does not allow nominating any member for more than two terms. Earlier, during the CPM's politburo meeting, the decision to allow another term to Yechury was forwarded to the Central Committee (CC) which has not yet taken a call on the issue. The CC meeting is to be held in third week of July and a decision is expected then. Meanwhile, Yechury has ruled out the possibility of him contesting the Rajya Sabha elections. However, many believe that he too is waiting for the CC's decision which is under tremendous pressure from its cadres who believe that with Yechury's exit, the Left would lose one of its prominent and popular faces in the Parliament. Left with only eight MPs, Yechury's exit would take the party's tally down to seven. If the Left wants to send Yechury to the Upper House, it would need support of the Congress to cross the magic figure. However, Congress has clearly stated that the offer is open for Yechury only. “We are supporting Yechury because he is a vociferous critic of the government and his policies. His words are taken with certain degree of seriousness not only by the opposition parties but also by the ruling combine,” said Mishra. Earlier, both Congress President Sonia Gandhi and vice president Rahul Gandhi had agreed to relinquish their claim for the lone seat to accommodate CPM general secretary. Even Chowdhury had raised no objection in supporting Yechury's return to the Rajya Sabha. Meanwhile, sources have informed that Mishra is hoping that he could replace CPM's Tapan Kumar Sen whose term expires in April 2018. Though Congress has the numbers to elect one of its own, Left's support would seal the deal for Mishra who is known for his aversion for Hindutva politics and Trinamool.